Introducing Fido Studio, the world’s most stylish home for your dog! 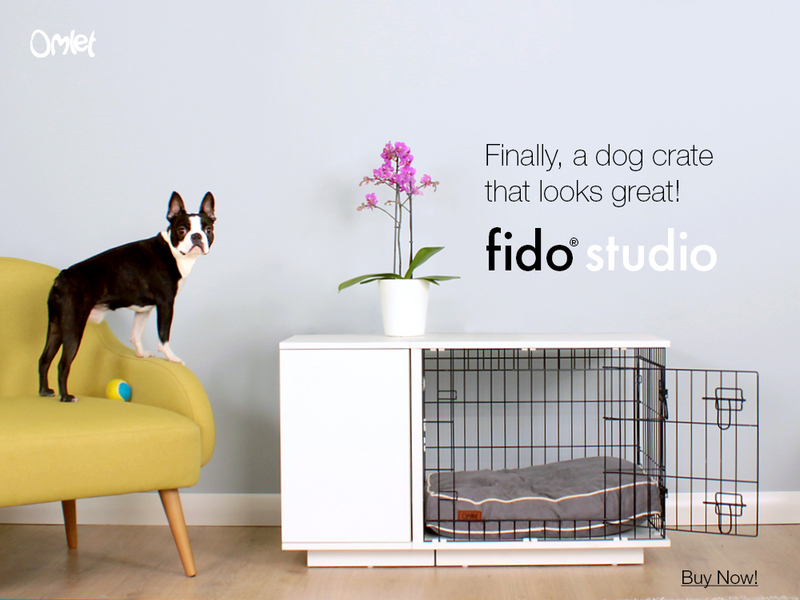 Designed like a piece of contemporary furniture, the fantastic new Fido Studio is more than just an indoor dog crate. It’s the perfect compliment to your home and fulfills your dogs natural instinct to have a den that they can call their own. The Fido Studio also brilliantly solves the issue of where to store all of your dog’s accessories. The optional wardrobe is a versatile and incredibly practical solution for storing your dog’s coat, treats, favourite toy and lead all in one handy place.With the innovative Fido dog crate, your dog will have a comfortable and durable home for life. Whether you want a quality indoor house for your adult dog that is more than just a bed on the floor or are trying to train a puppy, the Fido dog house offers everything your pet needs to feel safe, secure and part of the family. Order now for FREE DELIVERY, offer only valid until end of March.